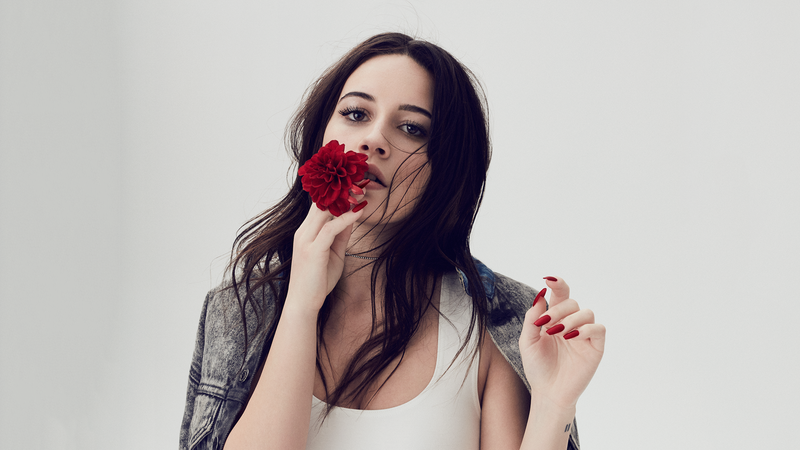 There’s a lot more than meets the eye when it comes to songstress, Bea Miller. The former X Factor contestant emerged onto the scene in 2012, quickly earning a name for herself thanks to her powerhouse vocals and bubbly personality. Now, five years later, the rising star is churning out original material that speaks volumes about her abilities both as a singer and songwriter. The music in question? Her string of 2017 EPs, which will come together to form her forthcoming sophomore album. Broken down into three parts—Chapter One: Blue, Chapter Two: Red, and the yet-to-be-released, Chapter Three: Yellow—the extended plays document the various stages that one goes through in a failing relationship. Sadness, frustration, rebirth—it’s all there, people. In addition to the feelings that arise during a breakup, the color reference also speaks to Miller’s synesthesia. The New Jersey artist's ability to “see colors” has shaped her work, giving way to a well-thought-out collection of themes within her music. Check it out below, then make sure to Track her on Bandsintown to find out when she’ll be playing in a city near you!